Every month we feature a new release that we think really shines. 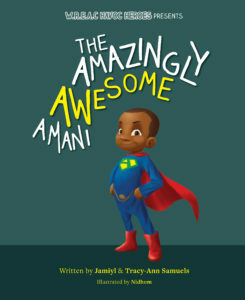 This month’s featured title is The Amazingly Awesome Amani by Jamiyl and Tracy-Ann Samuels! The Amazingly Awesome Amani is a powerful book with a life-changing message. 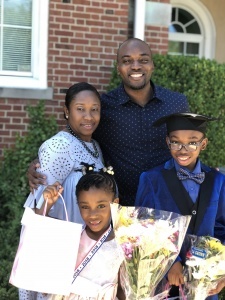 Jamiyl and Tracy-Ann took the story of their own son who has autism and created a narrative that builds understanding and champions confidence. We are proud to be a part of Amani’s journey and to help spread awareness and eradicate stigma. 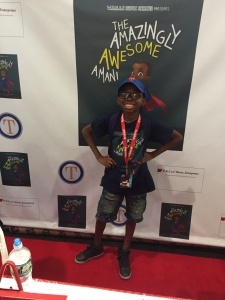 From helping children learn to accept what makes someone different to helping children understand there is power in our differences, The Amazingly Awesome Amani is a must-read for every generation. 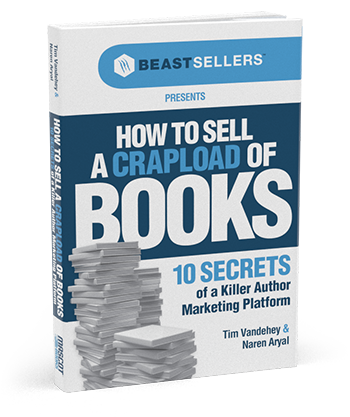 Our blog editor, Emily, interviewed Jamiyl and Tracy-Ann about the experience of writing the book and what’s next. Their words have been edited for clarity. What made you decide to write Amani? Our son, Trey Amani, has autism. We felt the need to share our experience, to help others understand the autism spectrum. Our daughter is very young and was struggling to understand what made her brother different. 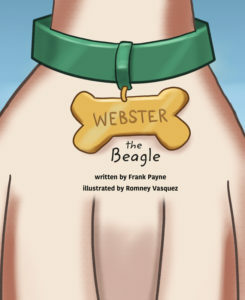 We decided to combine these needs into our first children’s book, to build up our son and help create understanding. Our mission is to help normalize autistic children and tackle the insensitivity and bullying many, including our son, face. Even though he’s different, we constantly tell our son, “You’re you! You’re awesome!” because there’s nothing keeping him from reaching his full potential. Getting to share our story. It’s been a healing journey for us. We went through so much with our son, and getting to hear that other parents went through the same has been therapeutic. For us in the community—being African American—we don’t discuss mental illness or developmental disabilities. We know there is something wrong. It’s great getting to share these resources, getting to help parents realize their child does not have to be in a public school setting—there are private schools that can provide the resources they need. We have met so many parents since launching the book it’s just been crazy. I [Tracy-Ann] am a social worker. I used to practice therapy before having kids, but I feel like I’m doing more outreach after we’ve launched this book. There are so many parents who are in denial about their child’s diagnosis, but autism is not a crime. It is imperative for us as parents to get our children the help they need in order for them to be able to take care of themselves one day, when we aren’t here. It is just so rewarding to be able to help parents grow to understand and cope with their circumstances because we’ve been there before. It’s a blessing to be able to educate other kids and normalize autism. It’s just a word. It doesn’t have to scar your child. Our son? He’s just Trey, and we love him however he is. The hardest part is when a child is nonverbal. It’s incredibly frustrating for us as parents to be unable to help a child who cannot communicate what he or she wants or needs. It is also incredibly hard for parents to come to the realization that their child is different. When a child is on the autism spectrum, parents need to get their child services and resources to help them. But when parents cannot cope with the diagnosis or admit there is a difference, it can be difficult to reach them. Sometimes you have to mourn the child you lost—the one you envisioned for nine months while you were pregnant. Once you realize God gave you a better gift, it becomes easier to face and even celebrate the child you have rather than the one you imagined. Once we mourned the child we thought we were going to have, it became easier. And now we see the blessings we have. 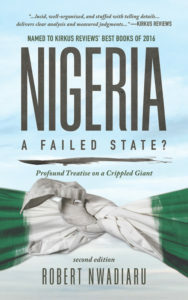 We never thought we would be publishing a children’s book or holding speaking engagements, but we are now able to have this impact despite the challenges. What nonprofit work do you do? Is W. R. E. a. C. Havoc part of this project? Amani is our passion project, our love letter to our son. We seek to eradicate the stigma surrounding autism. Writing as been the greatest healing process and has allowed us to accept what we felt and move on to enjoy the gifts we have. 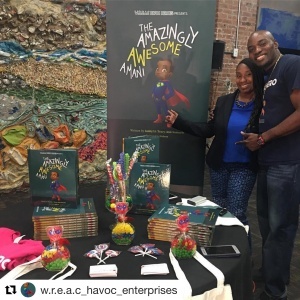 About Jamiyl Jamiyl Samuels is the Founder/Owner of W.R.E.a.C Havoc Enterprises. The acronym stands for Write, Record, Educate, and Create. He started W.R.E.a.C Havoc Enterprises in January 2005 as an outlet for his creative work, which included hip hop music mix CDs. As he gained valuable writing experience as a freelancer, contributing content to online and print publications such as Allhiphop.com, The AVE magazine, Vibe, TheUrbanDaily.com, and working as a staff writer for HOT97.com, he began to share his expertise and offer his writing and editing services to others. He began his college career in 1996 studying Theatre Arts at Morgan State University in Baltimore, Maryland, but soon moved back to New York to finish his undergraduate studies, completing both his bachelor’s degree in English and master’s degree in Media Arts with a concentration in Screenwriting from Long Island University in Brooklyn, New York. 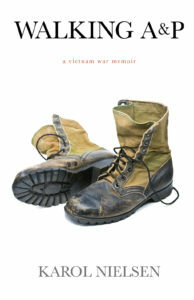 Samuels has been creatively writing for over 25 years. Whether it is screenwriting, blogging, creating poetry or song lyrics, he continues to do what he loves while striving to make an impact with his work. Within the last few years he has added the title of author to his impressive resume self-publishing a book on the importance of fatherhood in the Black community entitled “Pass The Torch: How A Young Black Father Challenges The Deadbeat Dad Stereotype” in 2011. In 2016 Samuels re-released a revised version of his debut with the intent on sharing his story with at-risk youth and families.